Two recent magazine articles of linguistic interest: from the Atlantic issue for September 2018, “Your Lying Mind” by Ben Yagoda, about cognitive biases; and in the New Yorker‘s 9/3/18 issue “The Mystery of People Who Speak Dozens of Languages: What can hyperpolyglots teach the rest of us?” (on-line title; “Maltese for Beginners” in print) by Judith Thurman. — From Duolingo, a “science-based language education platform” available on Apple, Android and Windows smartphones and online. Language-learning sentences are always slightly funny. They exist to teach you linguistically, not to communicate anything about the actual world. They are sentences that are also nonsentences — generic by design, without personality or ambiguity: human language in merely humanoid strings. [They are, as the philosophically inclined among us sometimes say, mentioned, not used.] The subtext is always just “Here is something a person might say.” It’s like someone making a window. What matters is that it’s transparent, not what is being seen through it. “Safest Bet in Sports: Men Complaining About a Female Announcer’s Voice” (on-line head) by Julie Dicaro. “‘Friends,’ the Sitcom That’s Still a Hit in Major League Baseball” (on-line head) by James Wagner. 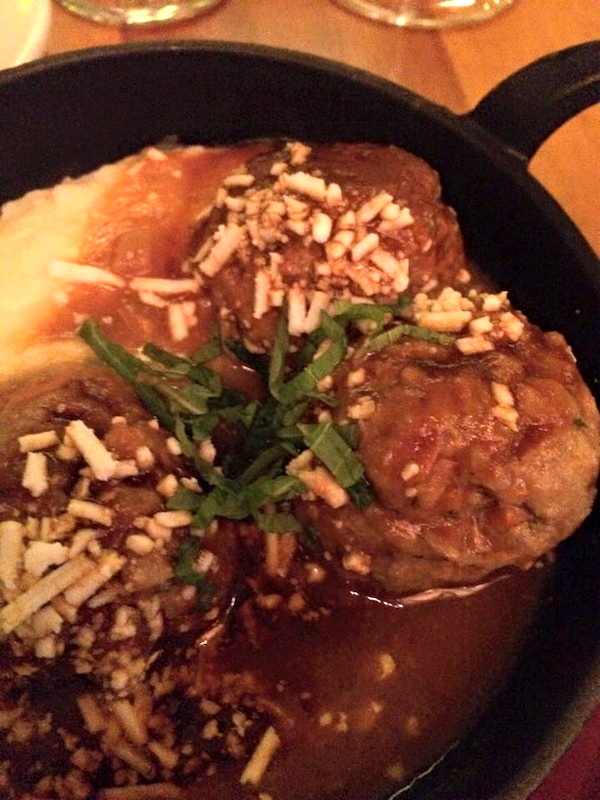 Here, just the meatballs in a tomato sauce; but albondigas are most often served in a broth, as meatball soup. Photo by Ned Deily, who ordered the dish in a bow to his high school Spanish class, which was taught resolutely by the audio-lingual method; students had to memorize and repeat dialogues, in particular one about albondigas that has stuck with him through all the years since. You are currently browsing the archives for the Language learning category.